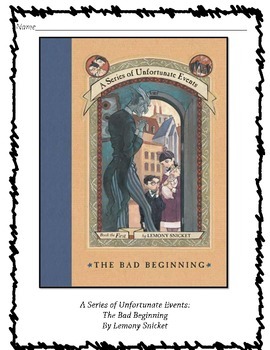 This is a novel study of Book 1 from The Series of Unfortunate Events: The Bad Beginning by Lemony Snicket. 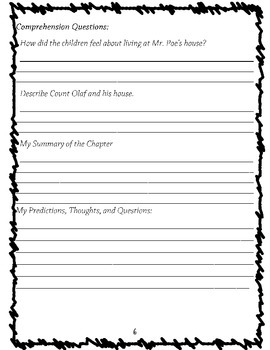 For each chapter it includes a page of vocabulary words (where students write down their believed definition based on context clues, actual definition from a dictionary, example sentence, and an illustration) and 2-3 comprehension questions, a summary of the chapter, and their predictions/thoughts/questions about the chapter or the upcoming chapter. 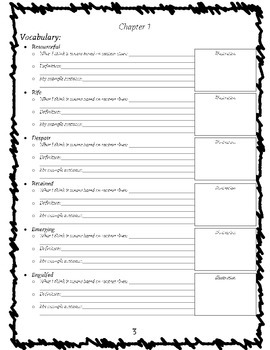 It includes a page of common core standards for 3rd grade. 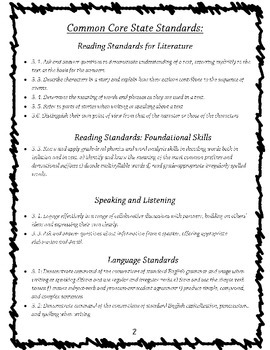 If you would like me to edit the standards for another grade level, please message me, and I can send you an updated copy with different grade level common core standards.